Last week, the draw for the Group Stage of the 2018/19 Champions League took place in Monaco, opening up early continental avenues of adventure for the 32 competing teams. 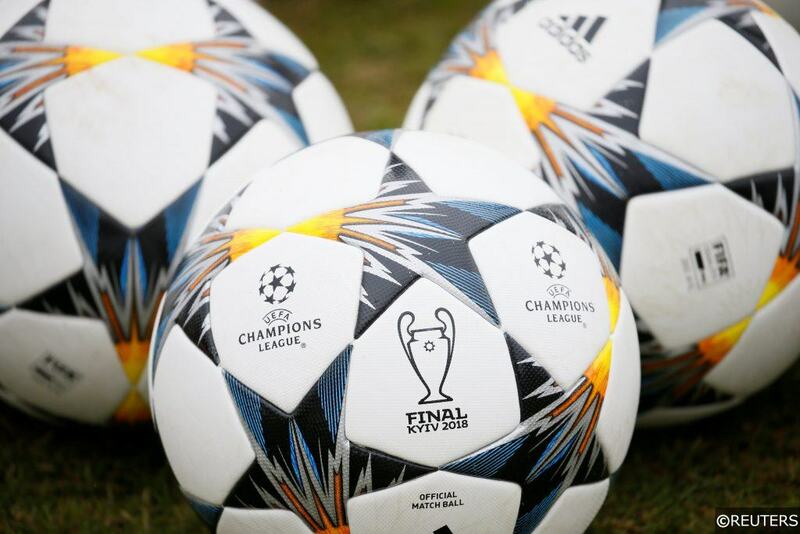 The first ball of the Champions League proper will be kicked on September 8th before the outright winner of the tournament is decided on June 1st 2019 at the Wanda Metropolitano in Madrid. With opponents confirmed and itineraries drawn up, clubs can start to dream about lifting Jürg Stadelmann’s creation next June. The designer of the Champions League trophy took 340 hours to complete his masterpiece, though the team that wins it next year will have to come through at least 1,170 hours of football to get their hands on the cup. Let’s take a closer look at the individual 2018/19 Champions League Groups. Three of the four teams drawn in Group A have lost a Champions League Final this century. Monaco were beaten by Jose Mourinho’s Porto in 2004, Borussia Dortmund lost to their Bundesliga antagonists Bayern Munich in 2013, and Atlético Madrid lost two Finals in three years between 2014 and 2016 to city rivals Real. Club Brugge are the odd one out, though they did lose their own Final in 1978 to Liverpool in the older, more streamlined version of the competition. The Belgians look like the Group A interlopers and they definitely stick out for all the wrong reasons. The Blauw-Zwart won’t be hamstrung by an inferiority complex, but their lack of genuine quality is likely to result in a bottom place Group A finish nonetheless. 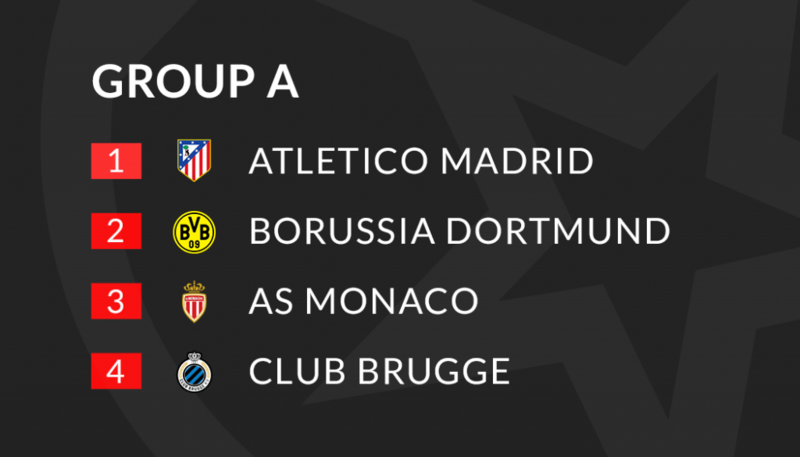 Ahead of them, the Group has a really open feel to it and while Atlético are favourites to top the section, both Borussia Dortmund and Monaco will be confident of progressing in second place. Their meeting at the Stade Louis II on Match Day 6 on December 11th already looks like a key fixture. Our Tip: Dual Forecast: Atlético Madrid and Borussia Dortmund to qualify – 4/5 Bet victor. 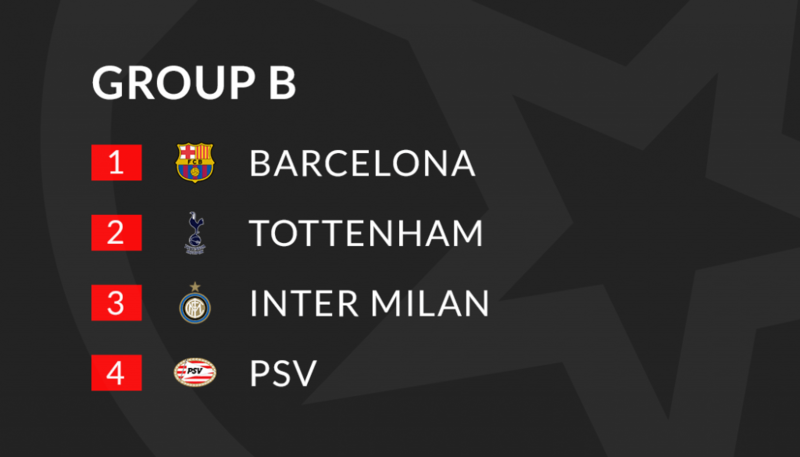 Champions League Group B has already been labelled the competition’s “Group of Death”, though the section isn’t the only group worthy of that moniker this year. Catalonian giants and 5-times Champions League winners Barcelona have an extra incentive to win this year’s competition as they look to break Real Madrid’s continental stranglehold on the tournament. The La Liga champions are odds on to qualify, and though Spurs meeting with Inter conjures up memories of a fresh-faced Gareth Bale tearing Maicon to shreds at San Siro, the Londoners probably won’t need as much individual magic to beat the Italians this time around. Inter made the Serie A Champions League cut by the skin of their teeth last season and they are still feeling their way towards consistency under Luciano Spalletti in 2018/19 with a new-look side. Eredivisie champions PSV shouldn’t be underestimated – the Dutch title winners have lost just one of their last thirty-five games at the Philips Stadion in all competitions and Mark van Bommel’s youthful side are capable of springing a surprise or two. Our Tip: Dual Forecast: Barcelona and Tottenham Hotspur to qualify – 4/6 Bet victor. 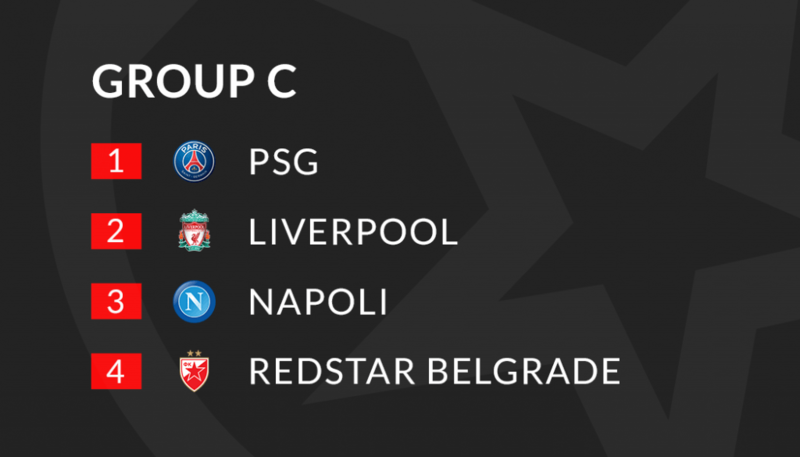 In one of the most intriguing 2018/19 Champions League Groups, last season’s beaten finalists Liverpool share a section with French heavyweights Paris Saint-Germain and last year’s Serie A runners up Napoli. If Group B is the “Group of Death”, then Group C feels like the “Group of Goals”. Liverpool smashed the record for most goals scored in a single Champions League campaign last season, netting 47 times in total on their way to the Final. PSG rattled in 171 goals in 2017/18 themselves, while Napoli bring their own attacking reputation to the table from Italy. The Liverpool vs PSG fixtures are the Group’s headline acts and the two free scoring outfits clash on Match Day 1 of the Champions League on September 18th. Serbian side Red Star Belgrade are back at this level for this first time since 1992, though keeping annihilations to a minimum is likely to be the number one target on their return. Our Tip: Dual Forecast: Paris Saint-Germain and Liverpool to qualify – 2/3 Sky Bet. 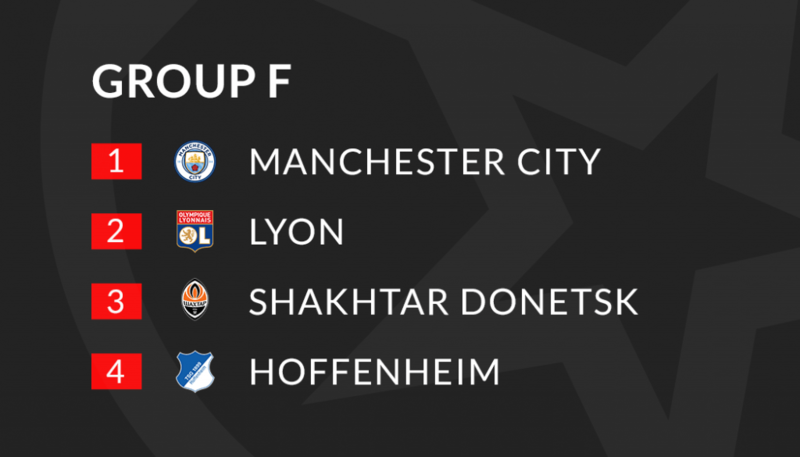 On paper at least, Group D looks one of the weakest quartets in the 2018/19 Champions League Group Stage. There might be a shortfall in top level quality compared to the competition’s other sections, but what Group D lacks in class, it makes up for in competitiveness. Group D has a decidedly open feel to it with little to choose between the four competing teams. FC Porto are the bookmakers’ early favourites to win the group and the Portuguese big-hitters are certainly head and shoulders above the rest in terms of European pedigree. The Primeira Liga champions just about have the edge in terms of ability in Group D, and should finish 1st. From there, the group is a mixture of the inexperienced and the continental underperformers. Schalke 04 and Galatasaray are back in the Champions League for the first time since 2014/15, while Lokomotiv Moscow make their first Group Stage appearance since 2003/04. The Germans should pick up enough points at the VELTINS-Arena to allow them to squeeze into 2nd ahead of Galatasaray, leaving Lokomotiv to prop up the rest. Our Tip: Dual Forecast: FC Porto and Schalke 04 to qualify – 2/1 Sky Bet. Group E is three quarters packed with continental royalty. With a combined 11 European Cup and Champions League titles between them, Bayern Munich, Benfica and Ajax are clubs with a rich history of success in club football’s biggest competition. For Ajax and Benfica at least, European glory has long been consigned to the history books. Benfica’s two competition wins came back-to-back in 1961 and 1962, while the last of Ajax’s four triumphs was in 1995. 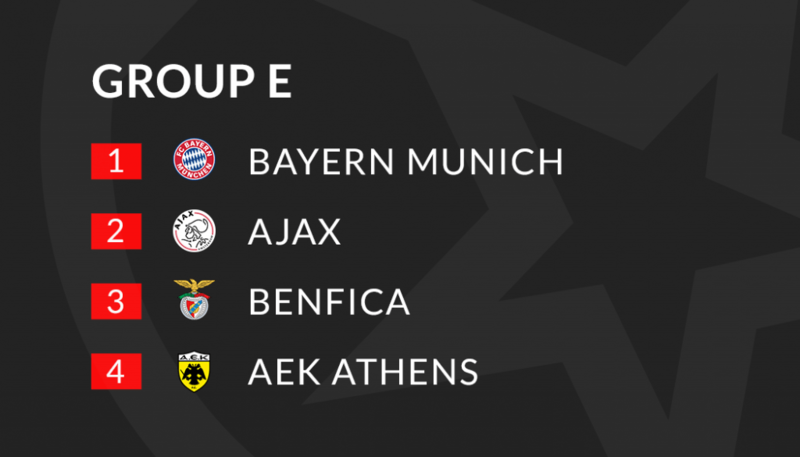 This year, along with AEK Athens, both Benfica and Ajax are likely to be left in the dust by Bayern Munich in Group E. For the first time in quite a while, Bayern aren’t among the favourites to win the Champions League, though they should find winning their opening section a breeze. Benfica are priced a littler shorter than Ajax to join Bayern in the first knockout phase, though de Godenzonen, re-energized by a new wave of academy talent, will be confident they can finish ahead of a side that lost all six of their Group games last season. Our Tip: Dual Forecast: Bayern Munich and Ajax to qualify – 13/8 Sky Bet. Having utterly dominated the English Premier League last season, the pressure will increase on Manchester City and Pep Guardiola to deliver glory on the continental stage in 2018/19. City have been dealt a kind hand in the Group Stage draw and really, they should top the section relatively comfortably. The race for second place is likely to be the most compelling Group F storyline, though French side Lyon look best equipped to finish behind Manchester City. Les Gones will have some of the most talented young players in the competition at their disposal though OL haven’t made it past the Group Stage since 2012. Hoffenheim enter the Champions League Group Stage for the first time in the club’s history, though their highly-rated Manager Julian Nagelsmann won’t be content with making up the numbers as he prepares for his last season in charge before moving to RB Leipzig. Ukrainian outfit Shakhtar Donetsk are arguably the most experienced side in the section and they enter their 11th successive season in the Champions League Group Stage. Shakhtar are notoriously tough to beat at home and their strength on their own patch should see them secure a Europa League spot ahead of Hoffenheim. Our Tip: Dual Forecast: Manchester City and Lyon to qualify – 7/4 Bet victor. Group G is one of the most straight forward-looking Champions League sections with current champions Real Madrid and last year’s beaten Semi Finalists Roma clear favourites to finish first and second ahead of CSKA Moscow and Viktoria Plzeň. Even shorn of the talismanic Cristiano Ronaldo, Real are among the leading candidates to lift the Champions League for the 4th season running and 5th time in six years next June. Roma won just six of their twelve Champions League fixtures last season, but still came within a hair’s breath of reaching the Final. The Giallorossi might not be able to emulate last season’s deep progression this time around, though they look certain to at least make it to the knock out phase again. Viktoria Plzeň have qualified for the UCL Group Stage for only the 3rd time in their history in 2018/19. Coincidentally, the last time they made it this far, they also shared a group with CSKA Moscow in 2013/14. The Russian club are no stranger to Champions League football, though they have failed to make it past the Group Stage in their last five attempts. Nevertheless, a Europa League place should be ample compensation for another Champions League Group Stage failure this season. Our Tip: Dual Forecast: Real Madrid and Roma to qualify – 1/3 Sky Bet. 2018/19 is the season Juventus are hoping to make the transition from nearly-men to European champions. Having finished as runners up on seven separate occasions, Juve hold the unwanted record for most Champions League Final defeats. Their latest loss came in 2017 against Real Madrid, just two years after the Old Lady had been denied glory by Barcelona. With Cristiano Ronaldo in their squad, Juventus have a real chance of winning their first UCL title since 1996. Ronaldo will face his old club Manchester United in Group H, though his former employers are a shadow of the team that the Portuguese represented almost a decade ago. Juventus will have top spot firmly in their sights, but United have it all to do to finish behind them in 2nd. Sevilla outclassed United over two legs in the Last 16 of last year’s Champions League and the Premier League runners up are likely to find life even tougher against a well-organised and technically gifted Valencia side who finished 15 points ahead of United’s La Liga conquerors, Sevilla in 2017/18. United remain a force to be reckoned with at Old Trafford however, and though their defeat there in March to Sevilla was a night to forget, the result stands as a relatively isolated black mark on the team’s largely fantastic Champions League record in Manchester. Despite modest overall progress in the competition in the last 5 years, United have only lost 4 of their last 53 Champions League matches at Old Trafford. Furthermore, 2 of those defeats were in dead rubber Group matches after United’s qualification for the knock out phase had already been secured. Jose Mourinho will be looking to use United’s excellent Old Trafford form as a platform for a successful Group H campaign. Valencia have never won a competitive match away to an English club in the Champions League and if United can extend their miserable run when the team’s meet in Manchester on October 2nd and avoid defeat in the return match on December 12th, they should finish ahead of the Spaniards. 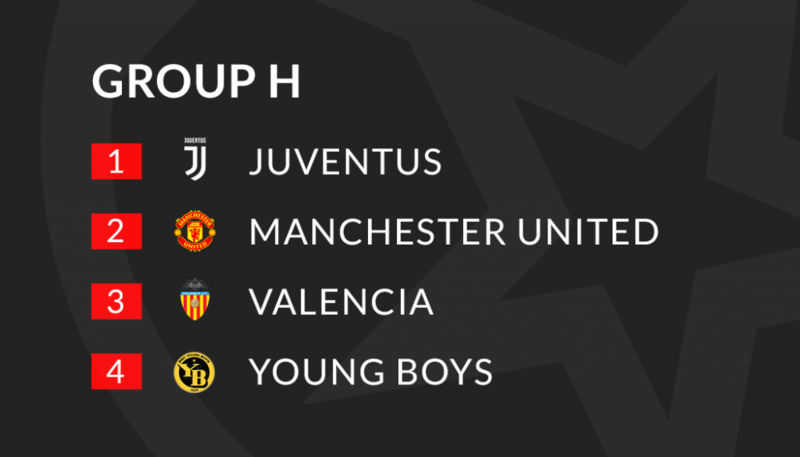 Young Boys are something of an unknown quantity after qualifying for the Champions League Group Stage for the first time in their history. The Swiss champions look set for an early exit however. Our Tip: Dual Forecast: Juventus and Man Utd to qualify – 4/6 William Hill. Categories: Blog, Champions League, and Football. Tags: Champions League, Champions League Group Stage, UCL, and UEFA Champions League. Team Tag: Atletico Madrid, Barcelona, Borussia Dortmund, and tottenham hotspur. League: UEFA Champions League. Sports: Football.